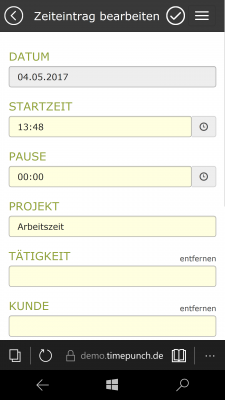 TimePunch Online – for the mobile time-recording! 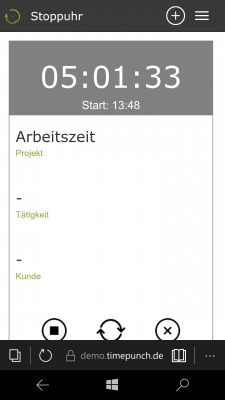 So far, our app “Timepunch mobile” was the only way to track working hours on the go and mobile. The disadvantage of this is that times had to be synchronized manually again and again. With Timepunch online, working hours can now be recorded mobile without an additional synchronisation. When starting/stopping, The times are started directly on the server. Therefore, Timepunch online can also be combined with time recording at the hardware terminal or on the PC. By Timepunch Online It is possible, for example, that the employee perceives an away date at the customer and then logs out on the smartphone without having to come back to the company. 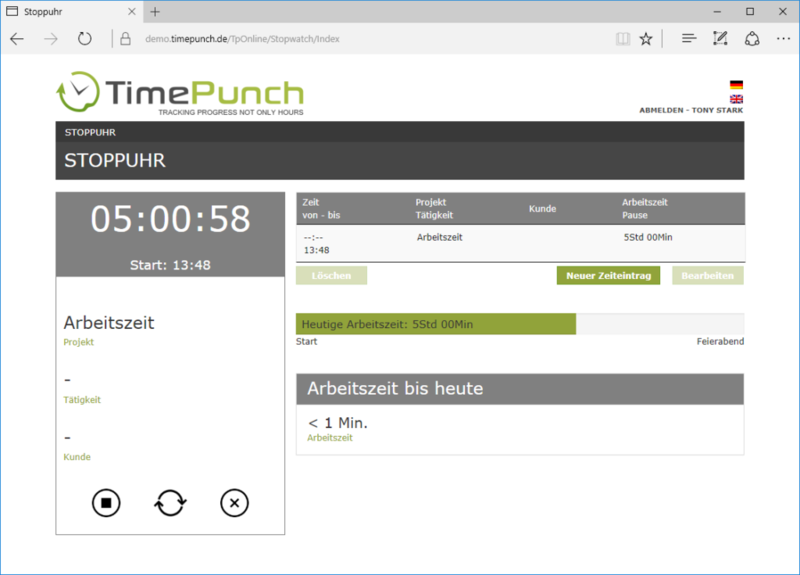 Timepunch Online can now be installed as a module with the Timepunch Application Server v1.95.